The Gore 4 is extremely sad to report the sudden and tragic death of actor Anton Yelchin on Sunday, June 19th. The accomplished young film veteran died in a bizarre accident at his Los Angeles home where he was pinned between his car and a brick mailbox pillar and security fence. Yelchin was only 27. 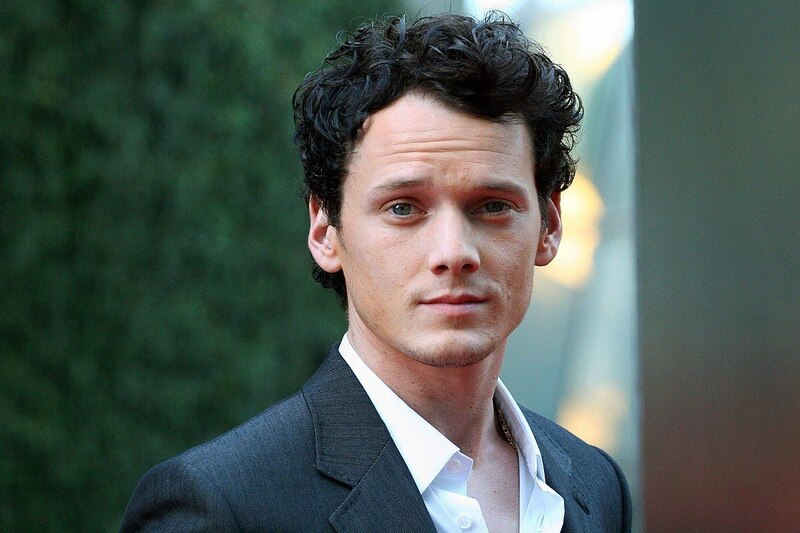 Probably best known for portraying ensign Pavel Chekov in the rebooted Star Trek films, Yelchin had amassed quite an impressive filmography for someone so young, a number of which were leading roles, and many in the genre of horror and science fiction. Yelchin was born in the beautiful and historic city of St. Petersburg, Russia (formerly Leningrad of the Soviet Union) in 1989, but moved with his parents, who were ice skating stars in Leningrad, when he was 6 months old to the United States. Growing up in California, rather than following his parents’ footsteps on the ice, Yelchin’s feet were firmly planted on the ground as he pursued his passion for acting as an adolescent. His first acting credit in film or television was on NBC’s medical drama, ER at the age of 10. Just a year later, in 2001, Yelchin achieved significant notice in two films – the thriller, Along Came a Spider, opposite Morgan Freeman and Monica Potter, and the Stephen King mystery, Hearts in Atlantis, where he played alongside Anthony Hopkins. Not bad for an 11-year old émigré from Russia, but clearly a sign that this was someone with significant talent and a rising star to watch out for in the years ahead. After appearances in a number of television series, from The Practice to Curb Your Enthusiasm to NYPD Blue, along with the gritty Nick Cassavetes crime drama, Alpha Dog, Anton had a banner year in 2009 when he co-starred in two big-budget, rebooted science fiction film franchises, Terminator: Salvation and J. J. Abrams resurrection of the beloved Star Trek. In Terminator, he played Kyle Reese, the time-traveling lynchpin of the series originally played by Michael Biehn. And in Trek, the first of three films (so far) in the new theatrical series (Star Trek Beyond is due July 22), he portrayed navigator Chekov, whose mathematical skills were essential to the crew, and whose Russian accent lent some comic relief at times. From there, Yelchin seemed to gravitate towards more unusual, offbeat fare, with a particular penchant for horror. In 2011, Yelchin starred as Charley Brewster in the remake of the vampire comedy, Fright Night, and was also in the unconventional Jodie Foster-directed The Beaver, with Mel Gibson. Oh, yeah, he also provided the voice of Clumsy Smurf in the live-action/computer-animated hybrid, The Smurfs. In 2013, in addition to reprising his roles in Star Trek Beyond Darkness and The Smurfs 2, Anton appeared in the critically acclaimed Jim Jarmusch vampire film, Only Lovers Left Alive. He also portrayed the title character, a cook with supernatural abilities, in Odd Thomas, based on a novel by Dean Koontz. In 2014, Yelchin had the enviable task of playing alongside actresses Ashley Greene and Alexandra Daddario in Joe Dante’s horror comedy, Burying the Ex, where he had to choose between two beautiful women, one very much alive and normal, the other, not so much. Earlier this year, Anton starred in the intense horror thriller, Green Room, in which he led a punk rock band fighting to survive against neo-Nazis. It will certainly be on the Gore 4’s list of best horror films of 2016. What’s so remarkable about Yelchin’s career is how substantial his filmography is for someone so young – it’s really hard to believe he was only 27 when you look at his body of work. Whether playing a supporting role or that of the romantic leading man, Anton could do it all. He had comic chops, but also had an intensity as well, which made him perfect for the many horror comedies he starred in. And though he appeared in so many genre roles amidst strange goings-on around him, Yelchin usually portrayed the normal guy, the one who audiences could relate to and sympathize with, and one who was capable and steadfast against overwhelming odds. J.J. Abrams, his Star Trek director, said of Anton, “You were brilliant. You were kind. You were funny as hell, and supremely talented. And you weren’t here nearly long enough.” Zachary Quinto praised his Trek co-star as “one of the most open and intellectually curious people i have ever had the pleasure to know. so enormously talented and generous of heart. wise beyond his years. and gone before his time.” And the original Chekov, Walter Koenig, reflecting upon meeting the young actor, said “What I learned that day was how bright and sensitive he was. I walked away thinking — this is a good person. My heart goes out to his mother and father. I know what you’re going through.” One can’t help but lament all the wonderful roles Yelchin would have had in the future, and the unique likeability he would have given every one of them. But we can all rejoice in the great number of amazing performances he did give us in his all too short 27 years. R.I.P., Comrade.